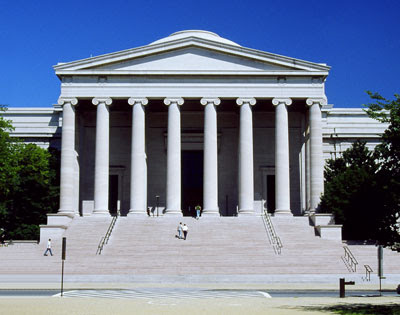 National Gallery of Art (Washington, USA) (National Gallery of Art) - Art Museum, located on the National Mall in Washington, DC. In Gallery One of the best museum collections in the world, including works of art of European and American artists: paintings, graphics, sculpture, watercolors, photographs, collections of porcelain and objects of decorative art. The Louvre (Musée du Louvre) (Paris, France) - France's national museum, one of the most visited museums in the world and third largest in the world. In addition, the Louvre is one of the earliest European museums. The museum is located in the heart of Paris, on the right bank of the Seine. 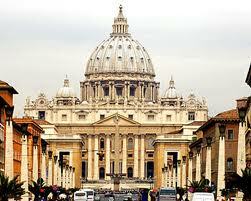 The basis of the Louvre is the fortress of King Philip II Augustus of France, built in the late 12th century. 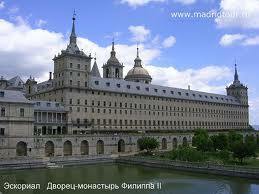 Like the Louvre Museum was opened to the public in 1793, during the French Revolution. The most famous masterpieces of the Louvre - Mona Lisa (Mona Lisa) by Leonardo da Vinci, the ancient Greek sculpture Venus de Milo (Venus de Milo) and Nike of Samothrace (Victory of Samothrace). The Uffizi Gallery (Florence, Italy) - Uffizi Gallery (Galleria Degli Uffizi) - one of the most famous museums of paintings and sculpture in the world, is located on an area of ​​the Uffizi in Florence. Its collection includes paintings by recognized masterpieces of all time, including works by Giotto, Simone Martini, Piero della Francesca, Fra Angelico, Filippo Lippi, Botticelli, Mantegna, Correggio, Leonardo da Vinci, Raphael, Michelangelo and Caravaggio. It is also well represented by German, Dutch and Flemish masters such as Durer, Rembrandt and Rubens. Metropolitan Museum of Art (The Metropolitan Museum of Art) was founded by a group of American businessmen, artists and thinkers, April 13, 1870. Meeting the museum's collection began with 174 paintings from the three European private collections. 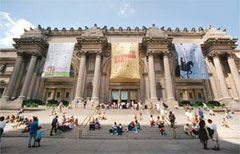 Metropolitan Museum of Art first opened to the public in 1872 in building 681 Fifth Avenue. In 1873 the museum moved into the mansion Douglas. And finally, in 1880 the museum took its current location - in Central Park on Fifth Avenue (from 80th to 84th streets). 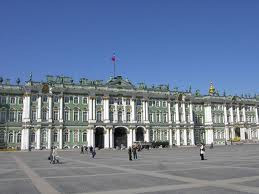 The State Hermitage Museum (The State Hermitage Museum) - one of the largest museums in the world, has a collection numbering about three million works of art and monuments of world culture. As part of the Hermitage collection - paintings, drawings, sculpture and applied art, archaeological finds, numismatic material, the gallery of jewelry (gold and diamond pantries). The Prado Museum (Museo Nacional del Prado) - one of the largest museums of collection of paintings, sculpture and decorative arts, as well as the world's masterpieces of Spanish, Italian, Flemish and other European schools. 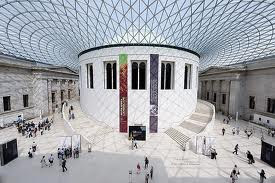 The British Museum (The British Museum), founded in 1753, is the first national public museum in the world and one of the largest museums in the world. The museum building occupies an area equivalent to nine football fields. The number of visitors during the existence of the museum has increased from 5,000 per year in the eighteenth century to nearly 6 million today. In the Egyptian Museum (Egyptian Museum) collected the world's largest collection of ancient Egyptian art. The history of the museum began in 1835 with an indication of the Egyptian government to hold an exhibition of museum objects collected, belonging to the Government, in order to prevent looting. The building of this museum in the neo-classical style was built in 1900, designed by French architect Marcel Dyunona (Marcel Dourgnon). The museum collection contains over 120,000 works of Egyptian art from the prehistoric era to the Greco-Roman period. The Vatican Museums (Musei Vaticani) - set the largest museums in the world, bringing together the most valuable museum collections and unique papal palaces Vatican City State.